Unfortunately, Call Filter Free is completely unavailable to Verizon’s prepaid customers and is reserved for postpaid accounts only. This enhanced product includes all of the great features included in the free version (spam detection, blocking and reporting), plus the ability to identify unknown callers by name. 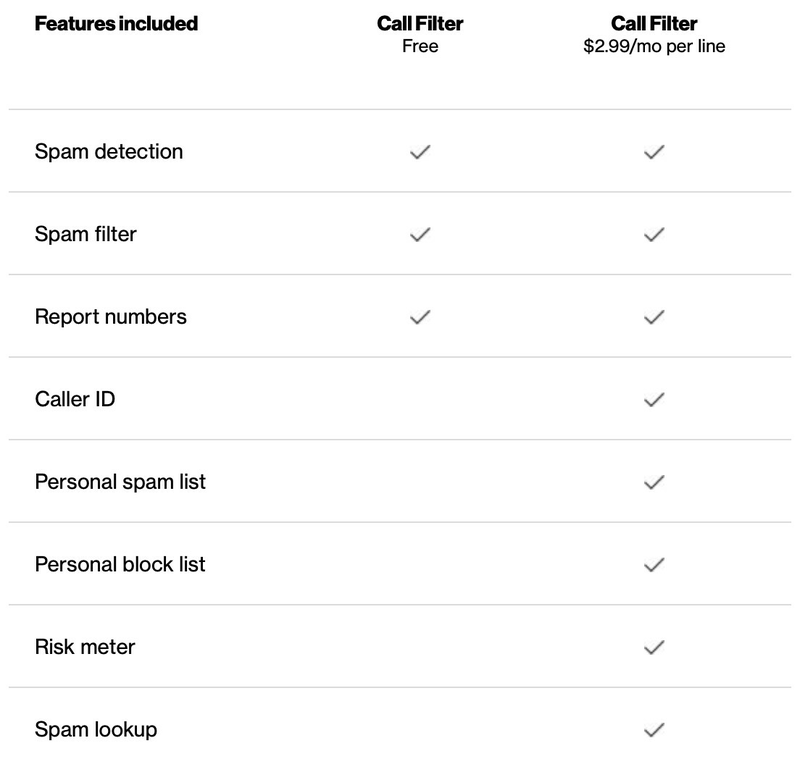 There’s also more control over calls with the ability to create a personal robocall block list, access to additional insights with the robocall risk meter and a spam number lookup feature. 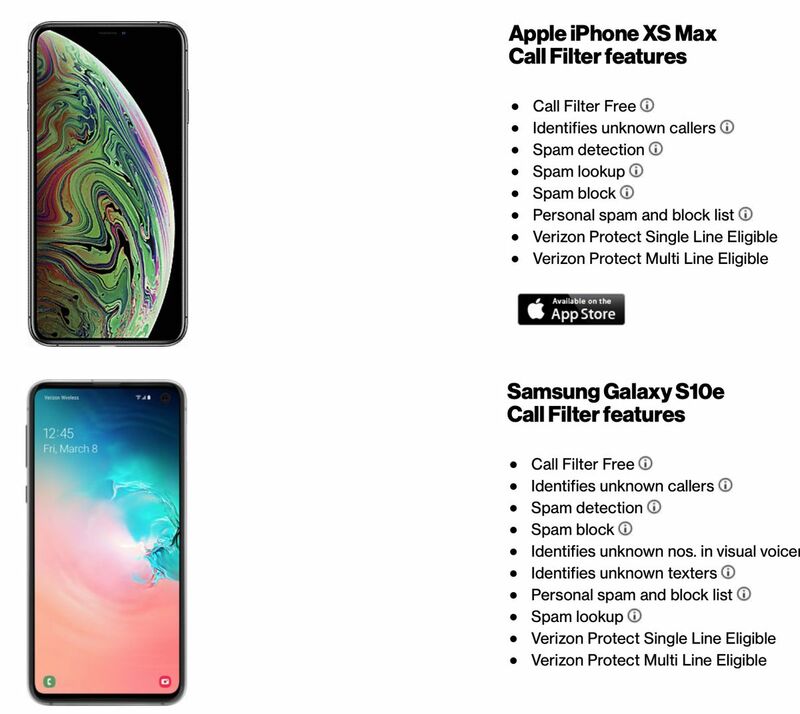 To activate Call Filter, you can install Verizon’s dedicated app for it — here for Android and here for iOS — or just enable the protection as an account add-on in your My Verizon app or the company’s website. There’s also a guide for using Call Filter. The FCC has openly warned all major US carriers that it will take action if they fail to make satisfactory progress in thwarting spam calls this year — or at least significantly curtail the volume down from the several-a-day annoyance they’ve become for so many of us. To that end, Verizon says it has successfully completed calls using the STIR/SHAKEN call authentication technology that the industry is beginning to adopt. Before your phone even rings, STIR/SHAKEN verifies that a call is actually coming from the number it’s posing as. The system is designed to prevent spammers from spoofing your local area code to make it seem like a call might be legitimate. We all hang up as soon as we hear the robot voice threatening us on behalf of the IRS or saying our iCloud has been hacked, but those instances are still seconds wasted and an unwanted distraction. Some of Verizon’s competitors are making faster progress with STIR/SHAKEN. T-Mobile has already deployed it live on its network (albeit on less than a handful of devices), and AT&T and Comcast have reached the first deal to authenticate calls between two different providers using the tech. STIR/SHAKEN will eventually need to work across all of the major US mobile carriers if we’re ever going to find peace again. FCC chairman Ajit Pai has said “uniform adoption will help improve authentication throughout the network and make sure no consumer gets left behind.” The commission has threatened “regulatory intervention” if carriers are too slow to get there.